How to reel in fish using the fly rod? That is one question most beginners ask. It is painful when you toil all day without anything to show for it. 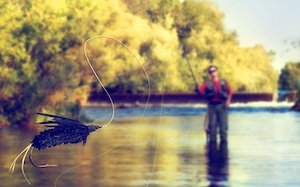 Every fly fisher expects to return home with a trophy rather than tell stories of how he or she almost caught a big fish. If your family members are anything like mine, the only way to avoid long faces is to come home with something, at least. 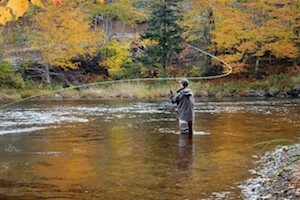 There are fishing techniques and apparatus that are challenging for fly fishers just starting out. You need to learn how to read water bodies, cast, and fish with the fly rod. This post will unveil tips and skills you would need to capture more fishes, keep the fishes on the line as well as pass them into the net. To some of the fly fishers, trout are nothing but little fellows. But you might be surprised to know that these animals are more brilliant than you think. 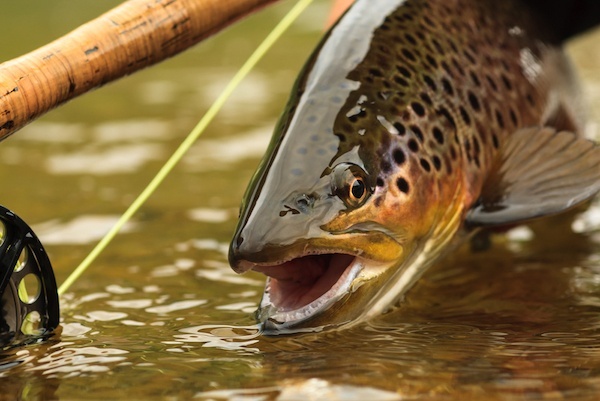 Trout can hear, see and sense danger from far away and protect themselves. So try by all means to prevent spooking fish even if you are fishing for trout or another species. To stay sneaky, what you have to do is; hide behind grasses or trees. I usually do this often so fish won't detect my presence and run away. Secondly, I put on outfits that match the surrounding. And avoid false casting because fish can sense and also see the line even before it lands on the water surface. All these are tips I use for fly fishing for trout in still water. And I sometimes go home with a smile. If you want to increase your fish count, your fly needs to reach the acceptable depth. Trout might be sensitive but not foolish to ignore a meal placed in their front. I have concluded that the snubbing is because I didn't set the fly deep enough. Therefore, find an excellent sinking fly so that your feed will not be snubbed. Having a reliable fly fish reel is also necessary. There are days when landing your first fish will look like it would take forever. It happens to most of us. But I have learned to adapt to these kinds of situations. Most fly fishers show their frustration when they don't get their expectations met on time. They change their flies multiple times and exhibit all signs of frustration. They have been sitting down on one spot for too long and ran out of patience. They assume they already knew all the technique and have applied all of them. However, if you really want to increase your chances of landing more fish, your line needs to be wet. Let it stay inside the water for as long as possible, and continue to cast, move and try. And remember one of the fly fishing tips is that the more time you spend fishing, the more your chances of netting more fishes. Another tip i got for you is, if the size of the fish is massive or if you are fishing in fast water, you should only reel after letting the line out. However, if the fish is small, the only thing you have to do is to pull. These are tips that can help increase your fish count even on a slow day. You can apply them when you go for your next fishing trip or share the tips with your fellow fly fisher folks. Again, one thing you should have when you go on a fishing trip is patience. You need to be patient and persistent. At the right time, your hook is going to get forthcoming impressive. Want to know what's our verdicts on the best fly fishing rods? Hop on and check it out here!